They are playing it well one after another incident but all Umat-e-Muslima is sleeping from centuries i will say. From 1980 till now this is been playing on after another incident but who can do any proactive way to overcome it. None of us even a single of us is not putting a step forward rather liking talking and sharing and again and again saying same thing from years of years. Facebook, Google, Orkut, Myspace etc etc and how long and Google Earth and Google Maps why we avail all for free and enjoy it. Are people of all these services are so stupid or all yours are .. 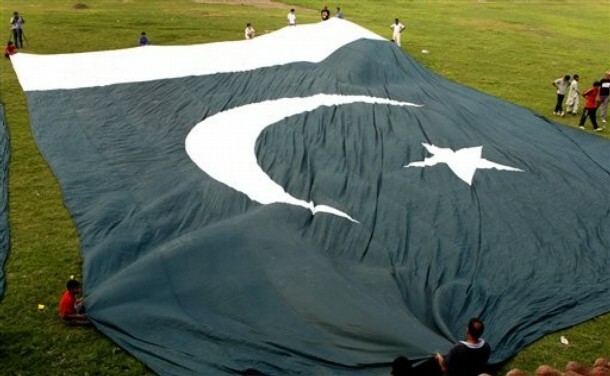 Think & Act Guinness Book of World Records is fine but This Pakistan Green Flag and This Green and Pure Pak Country made 65years ago as well this flag. and these 24200 youngsters did what ? Is making flag bring any thing to Muslim Nation by any aspect. What they all want from us to Play and keep them Playing day after another day. People and Muslim being victim of their oppression and atrocities round the clock but who cares. And when asked they simply say what we can do and whats in our hands and when something of their own interest comes they all unite like brothers and sister and enjoy with full zeal and delight are their faces. What And who saying them to do this all ? Is Islam or religion asked to Keep playing and watching TV as well being part of Dramas and watching movies and sports matches and even recreations all day on all weekends. This Message is for all those who do not want to awake. They will see signs one after another and they will be alarmed by one hurdle after another. But they will be keep sleeping in their own fashion. People of Pakistan And People of this World and all Muslim and with all Faiths. Get up and walk for Mutual and speak against the Evil and act upon the Word of Allah. Have you spent a time to understand Holy Quran? Have you spent any minute of this complete day to understand what ALLAH want from you? Have you ever worried this joy is ending where and how long we will be deceiving our soul by keeping playing game on after another ? What sort of happiness it is ? Why you can not see around these living signs and miracles one after another to awake you let you select the way the Right Path. Why you do not help the needy and Poor ? And if you understand this all what you are waiting for ? Why not you raise your WHY's and Why you not repent to ALLAH they way blessed people repent like Hazrat Umer RA, Like Sallah ud din Ayubi RA, Hazrat Abu Bakar RA, there is a long list of all those people who repent to ALLAH and history and all mankind keep their name in Memory and Allah Bless them all here and hereafter. Wake UP and Raise Your Voice before your voice will become the voice of past. This Present this time you are going is your action time. Just do the dare and ways will be open as ALLAH Almighty sees only your intend nor your color nor the amount you put Only you Intention and rest is HIS blessing along the way. We can do a lot better than only making fame to Nation by making our flag or making world records in playing rather working for a cause and humanity. The national flag of Pakistan (پاکستان کا قومی پرچم) was adopted in its present form during a meeting of the Constituent Assembly on August 11th 1947 when it became the official flag of the Dominion of Pakistan. It was afterwards retained by the current-day Islamic Republic of Pakistan. The flag is a green field with a white crescent moon and five-rayed star at its centre, and a vertical white stripe at the hoist side. 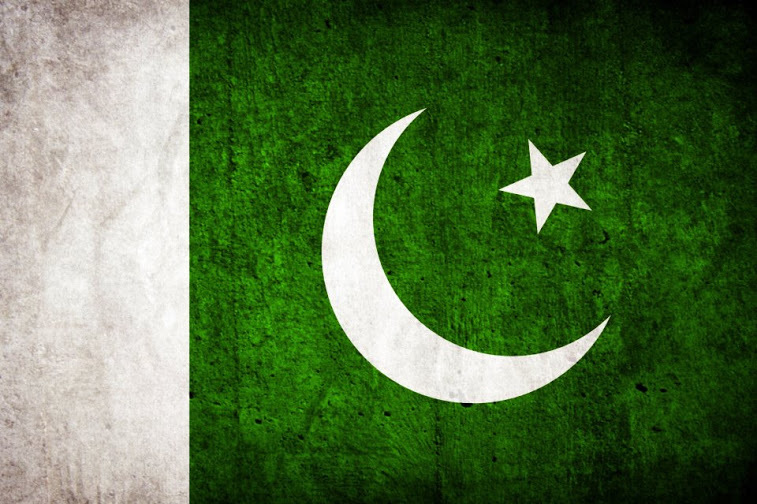 Though the green colour is mandated only as 'dark green', its official and most consistent representation is Pakistan green, which is shaded distinctively darker. The flag was designed by Amiruddin Kidwai, and is based on the Muslim League flag. The flag is referred to in the national anthem as Parcham-e-Sitāra-o-Hilāl (lit. Flag of the Crescent and Star). The Pakistan Government has pronounced rules about the flying of the Pakistan flag, which should be at full mast on March 23rd of each year. That display recognizes both the adoption of the Lahore Resolution in 1940 and the Declaration of the Republic of Pakistan in 1956. Flag raisers in Pakistan also make a point of hoisting the flag each year on the fourteenth day of August, which is the day Pakistan’s gained Independence from the UK in 1947.